One-night-that-changes-everything is a familiar cinematic narrative, especially in the lives of young people. Not the most original set up, there are reasons filmmakers and storytellers keep coming back to this particular well. Many people who’ve survived adolescence have had this type of experience, a transformative moment where you make a choice, where you can go one way or another, and where, afterwards, nothing is ever quite the same. Maybe it’s not always as dramatic as movies portray it, but when you’ve lived on that precipice between childhood and adulthood, searching for some nebulous thing you can’t quite define, it’s easy to relate. That’s where Brian Welsh’s new film, Beats, succeeds. Dazed and Confused or American Graffiti by way of Trainspotting—thanks in part to both the spot-on era capturing and gritty urban Scottish setting—you’ve likely seen similar stories before. But adapting a play by Kieran Hurley, who co-wrote the script with Welsh, Beats captures the highs and lows, the simultaneous hope and desolation, and, most of all, the wild, anarchic freedom of youth and having no idea what you’re doing, but plowing full speed ahead, consequences be damned. 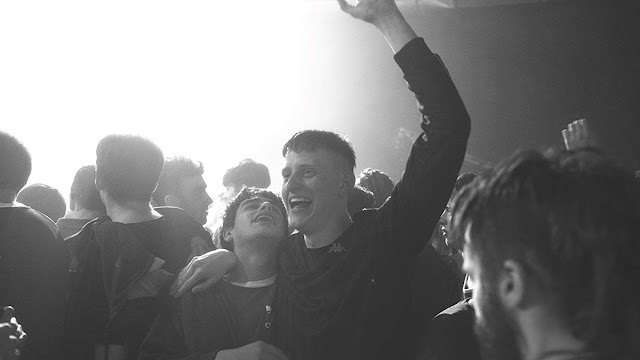 Set in 1994, we follow Johnno (Cristian Ortega) and Spanner (Lorn Macdonald), two friends dead set on going to an illegal rave, one last ride before life rips them apart and hurtles them down different paths. Over the course of the evening, they piss of drug dealers, find romance, run afoul of the law, and hit all the traditional genre makers. Johnno is shy, awkward, and reserved—a bit of a wiener, truth be told—dealing with trouble at home with his mother and her new husband. Spanner is a wild child, the “bad influence” from a bad family, who inevitably lands his friend in all kinds of bother. This friendship, strained as it may be by both internal and external forces, drives everything else in Beats, and Ortega and Macdonald handle themselves well and embody their characters. They have a fantastic chemistry and completely sell their bond, even if at times Ortega’s ubiquitous look of wide-eyed terror borders on too much. They’re looking for something, searching for an identify, a place to belong, a sense of purpose, and a future. Adrift and unmoored, they don’t know what they want, but they know they don’t want what life has handed them, and both actors deftly portray that uncertainty and the inherent fear that creates. Beats has a strong sense of place—don’t worry, there are subtitles to help you sift through the dense Scottish brogues if you need it. Shot in black and white, this aesthetic choice drives home the hardscrabble nature of their town and underscores the omnipresent social unrest. 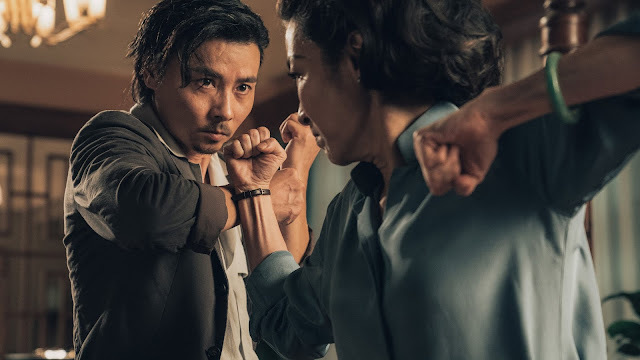 Themes of urban flight, class quarrels, and economic strife and anxiety cut through the film. 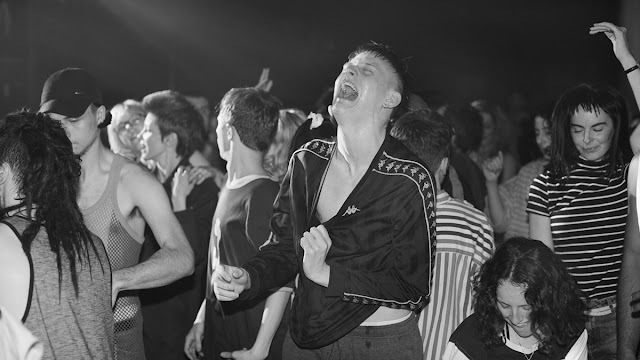 Set against the Criminal Justice and Public Order Act—part of a larger conservative political swing at the time—an ordinance that literally outlawed techno and gatherings around music with repetitive beats, the film crafts a world where simply dancing can be a radical act. Beats certainly isn’t without flaws. The culminating rave scene spools out for too long and ultimately turns into what looks like an extended music video—I get what they’re going for, but it’s also a hiccup in the pace precisely where there shouldn’t be. A few plot threads tie up in too neat a bow. And the where-are-they-now epilogue, lifted straight from American Graffiti (or maybe Animal House), is not only unnecessary, but undercuts the conclusion. What’s there in the narrative is already more perfectly satisfying. It encapsulates the bittersweet feel and the balance between optimism and pessimism, between the hope and despair of what we just watched. I understand the impulse, but it’s tacked-on spoon-feeding that does more harm than good.